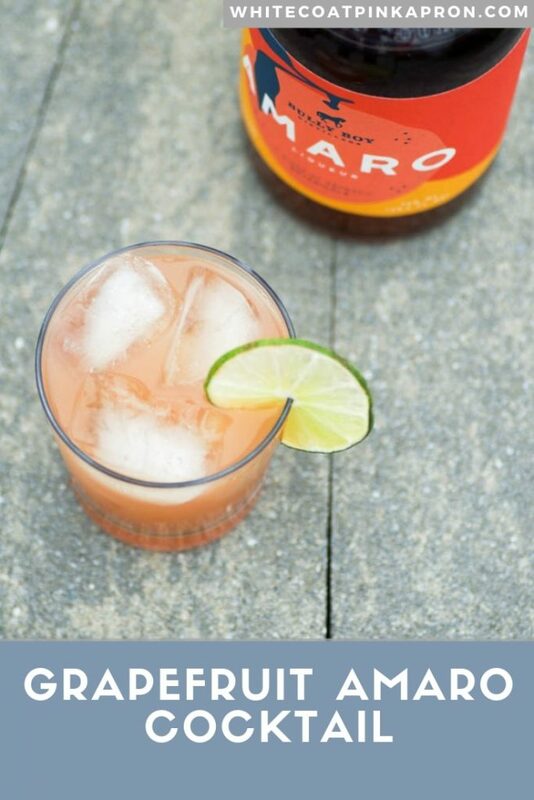 Welcome the spring with this refreshing Grapefruit Amaro Cocktail. 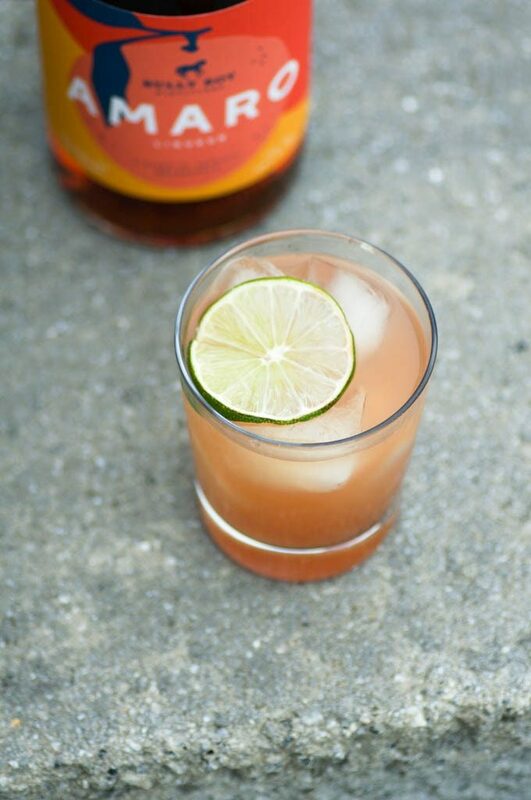 Herbal and light, this drink perfectly balances bitter, sour, and sweet flavors with the fresh citrus taste of grapefruit. Recipe is for individuals who are 21+ years old. I love celebrating the warm weather with a new cocktail. We always try something new at holiday celebrations, and our Easter drink this year is this Grapefruit Amaro Cocktail. I bet you’re wondering: what is amaro? Until recently, I was wondering as well. Amaro is an Italian herbal bitter-sweet liqueur. From my brief research, it sounds like all amaros are not created equally, with flavors varying from brand to brand. The variation is due to the variety of ingredients that can be used to make amaro. I tasted citrus, cinnamon, and a multitude of other flavors that I couldn’t quite put my finger on in my amaro. If I had to compare it to something, it was most similar to Campari. Amaro is typically consumed as a digestif at the end of a meal, but as you’ll see, it tastes great in cocktails as well. I was inspired to make this drink when I went to the Bully Boy Distillery in Boston, MA, where we went on a tour a few weeks ago. I’m a huge fan of their whiskey, but didn’t know that they make some other amazing spirits, like rum and amaro. At the bar, I ordered an Amaro Punch instead of my usual Manhattan. It contained the same basic ingredients as the recipe I’m sharing. It was so light and refreshing, and so tasty, that I knew I had to make it at home. 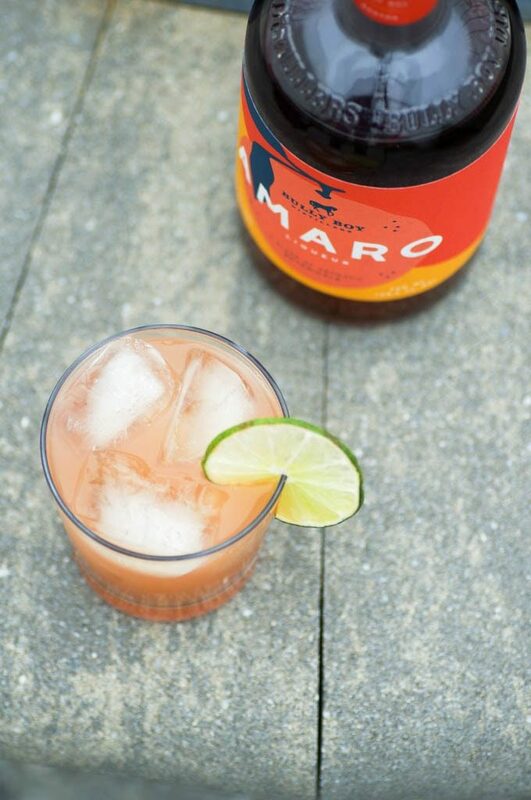 I like to keep my own cocktail recipes simple, so I limited my version to 3 ingredients: amaro, grapefruit juice, and soda. That’s it. You could add some simple syrup if it’s not sweet enough, but I’ll leave that up to you. This cocktail would make a great party drink, and could easily be made in a pitcher. Looking for another warm weather drink? Try my tropical Key Lime Pie Margarita. Light. Herbal. Citrusy. Bitter. Just a little sweet. Easy to make. Branch out and try this drink. You won’t be disappointed. Stir all ingredients in a tall glass, and add simple syrup to taste (if desired). Serve over lots of ice, and garnish with a slice of citrus (optional). Combine the above ingredients in a 1:1:1 ratio (example: 1 cup of each ingredient) in a pitcher. Stir, and add lots of ice to each glass before serving.